The wounding of game is an unfortunate and usually avoidable aspect of big game hunting. Our wounding policy is if you do wound an animal, every effort will be made by the guide and client to recover the animal. If the animal is not recovered, the hunt for that species is over and harvest fees are due. An outfitter is not responsible for a client's lack of skill or proficiency with their weapon of choice. The best way to insure that you won't have to deal with these issues is to practice and be as comfortable with your chosen weapon as you can be. As ethical hunters it is our responsibility to use our weapon of choice safely and proficiently. Everyone loses in the case of a critically wounded animal that is not recovered, especially the animal, so be sure of your shot. Do not shoot if the animal is in a poor position and wait for the animal to present you with a clear shot. Remember, the final decision on whether you shoot or not lies in your hands as the hunter, so only pull the trigger when everything feels good. A deposit equal to one half of the hunt price is required to confirm your booking within 14 days of making your reservation. Final payments are due 60 days prior to your hunt. Full payment must accompany any booking made less than 90 days before the start of the hunt. All harvest fees are due immediately upon your hunts end. Harvest fees plus applicable taxes are payable in cash or bank draft to your outfitter or designate. Signed receipts will be issued for all harvest fees. All deposits/payments are non-refundable, but may be transferred to another hunter or transferred to a hunt in a future year at the discretion of the outfitter and provided written notice is received at least 90 days prior to the originally scheduled hunt. We strongly recommend that hunters purchase health/travel cancellation insurance to cover unforeseen problems due to ill health, business, family or world events that may force a hunt cancellation. 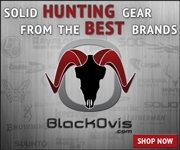 We sell the opportunity to hunt specific game animals in their natural environment, we do not sell guaranteed hunts.